Channel the legendary artist and architect Antoni Gaudí during this fun mosaic workshop. Mosaic art is the art of creating images with small pieces of smooth colored stone or glass. From the floors of ancient Pompeii to the walls of the Hong Kong subway, mosaics have been a feature of urban life for thousands of years—and in this workshop, you'll get to try and experience it for yourself. You'll be able to develop your own design, as well as learn how to achieve dimension, blend color, and use power tools to cut the materials. At the end of the workshop, you'll create an amazing original piece of artwork to take back home with you as a souvenir! Ready to harness your inner mosaic artist? Create stunning images using small pieces of smooth colored stone or glass, and take it home as a souvenir! 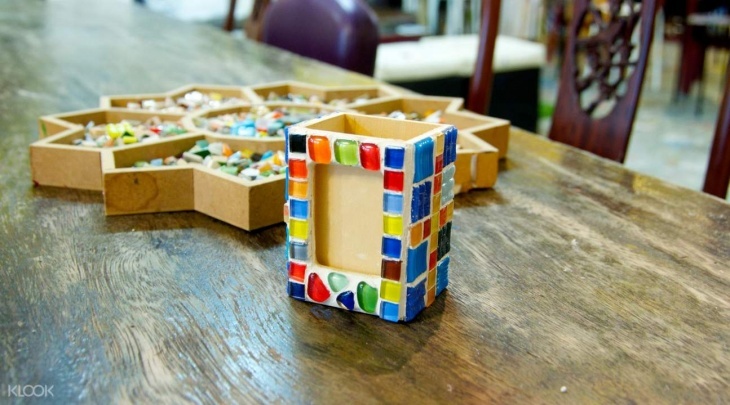 Take your mosaic artwork home, or give it to a special someone or a friend as a gift!